We have long been supportive of the position of Chief Experience Officer (which we always abbreviate CXO to avoid any confusion!) as a way of pushing forward a company’s shift into experience staging. We followed that up in 2007 with the piece “Get Real: Hire a Chief Experience Officer” for MarketingDaily. We acknowledged that naming a CXO was “something many companies need to do, but few have yet to do,” and stressed again that the role of demand creation was key, “something that should differentiate them from all the responsibilities of Chief Marketing Officers”. We, in particular, made a plea for CXOs to ensure “that the experiences under their purview are worth an admission fee” (something we talk about more here). And that’s pretty much where we let the concept sit! We’ve noticed that over the past decade hundreds and hundreds of companies have named Chief Experience Officers. Many of these are “merely” UX (user experiences) designers in tech companies, while others are actually tourism guides, and a few are really Chief Executive Officers in experience businesses who simply prefer the CXO title. That still leaves hundreds and hundreds of companies with true Chief Experience Officers as we’ve always envisioned it – most of whom still don’t know what the position should really be about! So we’ve decided to do something about that. We looked back at our own work with hundreds of experience stagers and examined in particular how companies shifted from goods and services to experiences as the heart of the business. We interviewed a number of CXOs to see how they applied themselves. We thought long and hard about what the focus of the position should be and what roles it should take on. And as we worked on it, it became clear that there are two key spectrums across which CXOs must work: the first defined internally by the creation of experiences within the company and externally by the needs of customers; and the second by the work of operations and the output of that work, the offerings themselves. 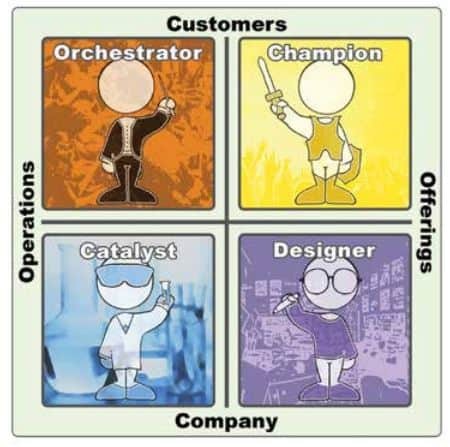 As you can see in the figure, these demarcate the four roles CXOs must inhabit to successfully lead their companies into the Experience Economy: Catalyst, Designer, Orchestrator, and Champion. In chemistry, catalysts cause or accelerate reactions among two or more substances, releasing energy as a result. In a similar manner, Chief Experience Officers must spark energy, excitement, and action among people throughout the company – people who rarely report directly through to the position – so that operations reorganize itself around experience staging on top of (or even rather than) the mere manufacturing of goods or delivering of services. In fields as diverse as art and fabrication, designers take raw materials and shape them, artistically and skillfully, into a form that fulfills their intention. Likewise, Chief Experience Officers need to take the raw material of company capabilities and work with the organization to shape them into experience offerings. In music, orchestrators compose or arrange notes, motifs, and themes and align them with instruments, parts, and players to form an audience-pleasing whole. So too must Chief Experience Officers align the various elements of operations to fit into a cohesive whole through a customer-pleasing theme. In the social and political arenas, champions fight for a cause they believe in, or on behalf of people they believe in. In the arena of today’s Experience Economy, Chief Experience Officers must fight for the needs, wants, and desires of customers and make sure that the company’s offerings create value on behalf of each individual guest. And as we conclude the article, these four roles of the Chief Experience Officer, of course, come together into one unified whole. And from that recognition comes the fifth role of the CXO: that of Guide. For to take a manufacturer or service provider – even an experience stager that, like Carnival, seeks new experience innovations to stand heads and shoulders above its competition – and become the stager of experiences requires a transformation of the enterprise. In mountain climbing and other outdoor endeavors, guides equip, accompany, and propel a party to its destination. 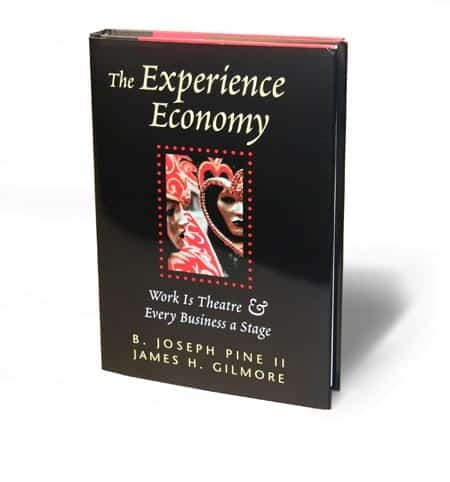 In the same way, CXOs have to propel their enterprises in transforming themselves into becoming premier experience stagers with the ongoing ability to regenerate new and wondrous economic offerings – which include the goods and services atop which experiences must be staged. Do read the full article to learn more about these five roles of the CXO. Then, if you do have a CXO in your company, be sure to share this article to help this key person succeed. If your company does not yet have someone named to this position, you can use this article to help create the groundswell to do so. If you are the Chief Experience Officer, then certainly compare what you do day-to-day with these five roles, and then embrace the principles we outline here to lead your enterprise to thrive in today’s Experience Economy! Hi Joe, As always, I am a fan of the guiding principles embodied in your work. 1. I agree that too many CXO’s are coming in with greater emphasis on UX. Given the broader realm you propose, it may be too big a leap for them to make. 2. My journey started as a designer and I believe that skillset and mindset has proven to be the most important of all, especially when I added my own version of systems thinking and critical thinking. I then was acknowledged as the top customer champion, which was still in my designer role. When I elected to leave my comfort zones (meaning design as it was defined as a reactive service) and I invested two years in sales and reseller functions of HP, and then in R&D and then with editors and influencers, in every case I was able to synthesize unmet needs, values and either lead solutions or be a catalyst for higher impact. I saw that CEO’s ranked business creativity as a top need in 2016, thus validating a wealth of opportunity still today. My work also applied ongoing experience norms so as to raise teh bar and create far better experiences. It also involved observation skills and value creation. 3. Today, company’s have no or too few jobs that create the rounded and very revealing view I gained as too many employees leave jobs sooner thus cutting off the benefits of progressive development, consciousness and a wider palette of opportunities that most companies would die for, if they understood the negative impact of not evolving staff or recognizing and enabling champions within. You and I spoke briefly last year about the value of an integrated disciplines approach versus being stuck in closed organizational silo approaches. I thought you and the team we assembled would be a great initial sounding board to help company’s shift from an objective diagnosis and discovery session, to a prioritized and integrated view of the steps to take. While I still feel and respect that your expertise is deep and it can be channeled with other needs as one integrated delivery engine, I have made great progress in simplifying how organizations begin this transformation as an agile process and a very human enabling one. I finally will get my new website done in about two weeks but the products and solution maps are ready now with advanced levels added soon. I hope the work I see from travelling a bleeding edge journey I can now hope to guide others to take, and the work you do from intelligent insights can one day integrate. 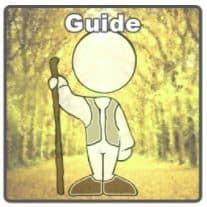 Once my site is ready happy to walk you through what we have as it is a perfect toolbox, source of inspiration and designed to bring our business humanity to life and actions. Stay healthy my friend, Bill.